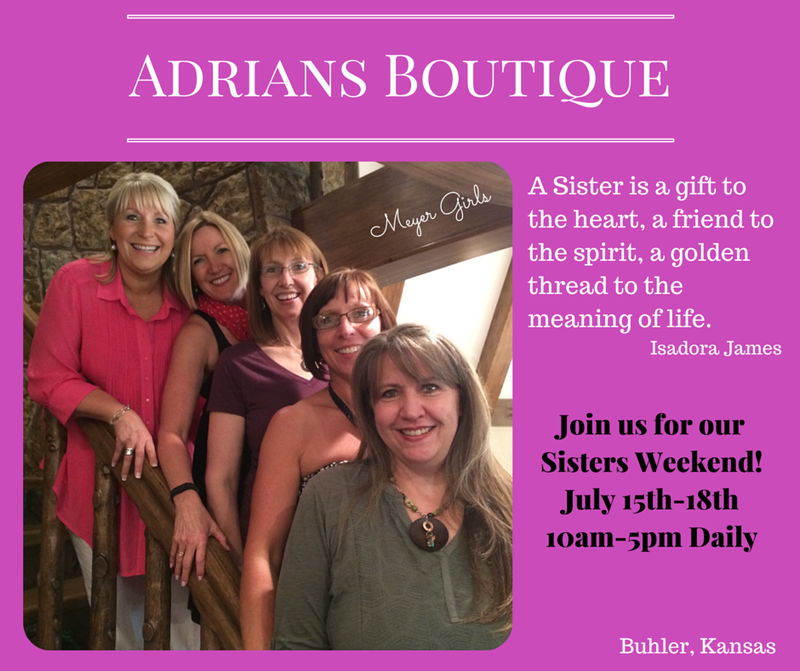 We’re celebrating the “Sister” relationship this week at Adrian’s Boutique. We all get so busy that we forget to plan a day to connect with our “Sisters” whether they are biological, work or church friend sisters, classmates, cousins or Mother/Daughters. 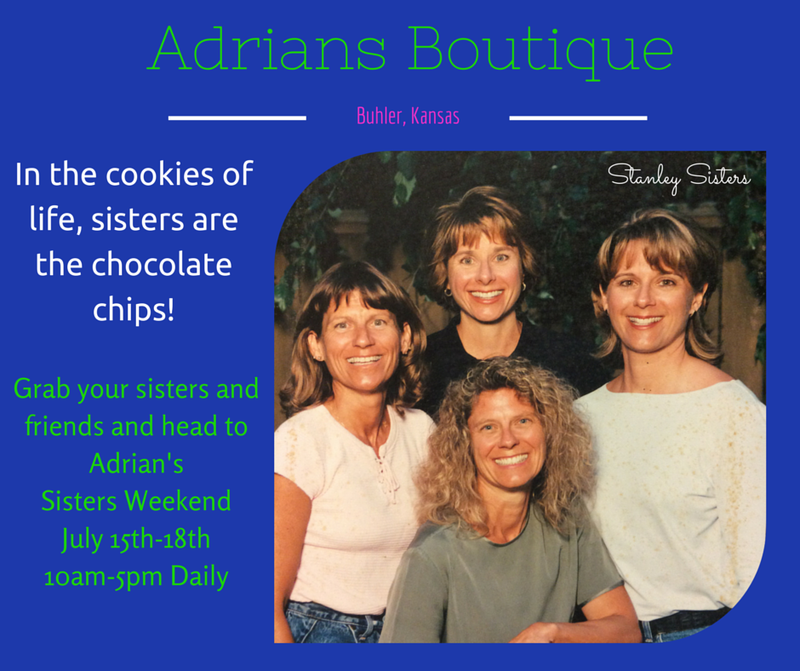 At Adrian’s Boutique, we take a weekend each year to remind our clients to give your “Sister(s)” a call and plan to get together. Of course, we would love it if you choose to meet or come to Adrian’s, but if that is not possible, at least get together for an ice cold drink, make a phone call and take time for a chat if they live too far away, and just connect! 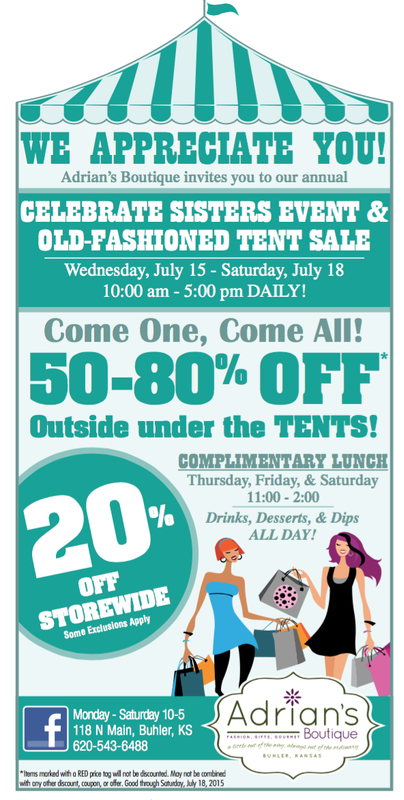 It is always FUN to see the sister groups come through the store during this week! Enjoy a Complimentary LUNCH from 11 am – 2 pm now through Saturday, July 18, or enjoy delicious desserts, drinks & dips all day (every day) at Adrian’s! Please feel free to give us a call if you have any questions or if we can serve you in any way.